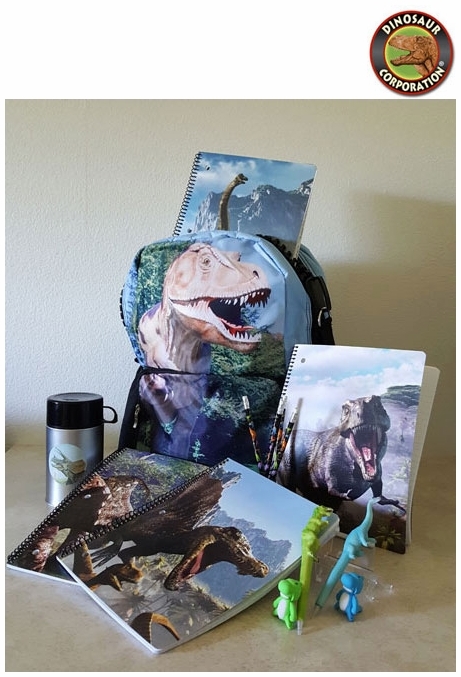 T-rex Dinosaur School Backpack with back to school dinosaur supplies is a perfect gift for kids loving everything prehistoric. * Large T-rex School Backpack 17" high x 12" wide x 7 deep (43cm x 30.5cm x 18cm). * 3 Dinosaur Spiral Notebooks featuring Spinosaurus, Triceratops and Brachiosaurus.